Fernando Alonso believes Formula 1 "will never change", and has again lamented how "predictable" grand prix racing has become in recent years. The McLaren driver has become a vocal critic of F1 in recent years, especially since the beginning of the hybrid era that has been dominated by Mercedes. While Alonso - who will make his 300th grand prix appearance this weekend in Canada - insisted he is "not bored" with F1, he reiterated his belief that the predictability of the current races is unhealthy. "It's obviously the top series in motorsport, but it's true that in the last years, especially with the turbo era things are so predictable," he said. "There are 21 races and we all know in this table what's going to happen in the next 14 races. This is very sad for the sport. "In sport in general, you can play basketball and one night you have a magic night and you score 80 points and maybe you win the game together with your team-mates. "Now it's the [football] World Cup, there are a couple of favourites, but no one can guarantee that Germany, Brazil, Spain will win the cup. Maybe, but maybe not. "While here everyone can guarantee that Mercedes or Ferrari will win the race." Earlier this year, F1 chiefs outlined their vision for the series' future once the existing commercial and engine agreements expire at the end of 2020. But Alonso believes not even the proposed changes for 2021 will be able to shake up the order. "Probably it will never change. 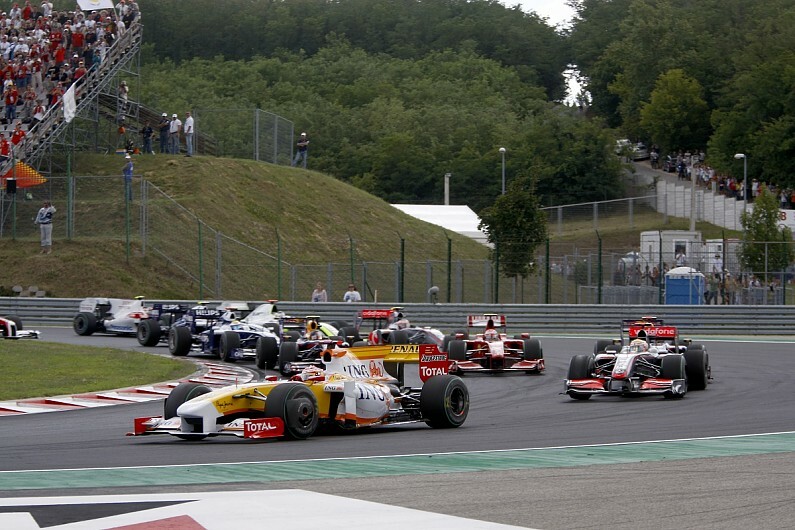 This has been Formula 1 for many years," he said. "I remember in 2009 with Renault that we were not very competitive and we still did some practice or qualifying runs because we wanted to test the tyres and something like that, and we were P1. "It was nothing, but it was some gift for the mechanics and for the motivation and for the sponsors. Now we can do whatever and we will not be P1, because the differences are huge. "Even if the machine was the biggest percentage on the result there were still some days, or some tactics by the team, with short fuel for qualy or maybe a gamble for the race. "Now it's just a train of cars every two weeks." Alonso, whose future beyond this year remains unknown, will compete in the Le Mans 24 Hours next week with Toyota as part of his World Endurance Championship campaign. The two-time world champion says his current dual programme shows him what F1 is lacking. "Probably until a couple of years ago I was so focused on F1 I didn't see other categories," Alonso admitted. "Now that I see them you go back to how it should be, in a way. If you have a good day you are P1 and if you have a bad day or a mistake you are P4. "Here you are P7 if you have a good day or bad day."